Easily transition from paper to digital with Singlethread. 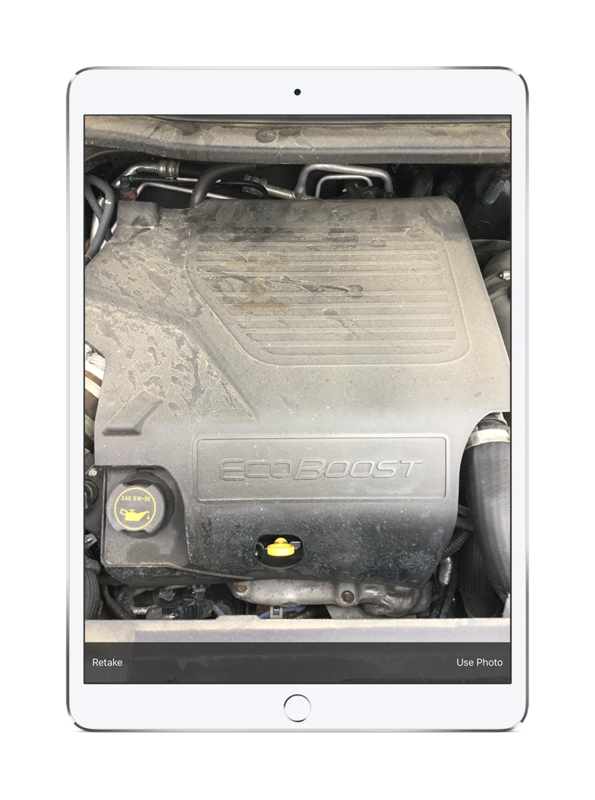 Singlethread Digital Vehicle Inspections eliminates grease-stained paper forms and captures picture and video inspections that boost customer confidence and help you sell more customer pay work. Singlethread easily identifies if techs are completing inspections and if advisors are delivering them to put an end to the age-old MPI dispute once and for all. Techs complete inspections in minutes and Advisors quote just as quickly to deliver inspection results to customers in an instant. The quick quoting in Singlethread is so easy you'll be on your way to 100% presentation, 100% of the time. There's nothing like a picture or video to help a customer understand the extent of the necessary repairs. With Singlethread you can effortlessly take pictures and videos directly from the technicians bay. And with Singlethread's real-time collaboration tools you'll know in real-time when a picture or video is ready to send to a customer. Sharp, high definition pictures and video delivered via text message increase transparency and put customers at ease providing your reputation a helpful boost. 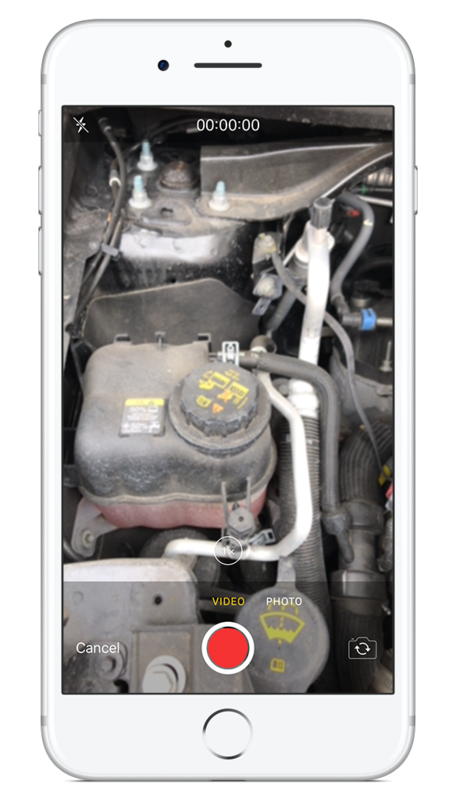 Singlethread makes it easy to document the condition of the vehicle prior to being in the dealership's care to reduce your risk. Singlethread stores all of your media for you so you can easily find pictures and videos at any point in the future. Make sure your multi-media is 'customer friendly' before sending it to the customer. Download the Singlethread app and stay in touch with your team on the fly. Check with parts team in a matter of clicks to see if a part is in stock. With multiple data-delivery options, partnering with Singlethread and it's dealers can generate leads, follow-up activities, shape marketing plans - the opportunities are endless. Capture a real-time data stream from your dealers directly to your systems. Contact us and see how Singlethread can help you execute on your opportunities. Implement a truly data-driven marketing approach. Laser-focus your marketing effort by delivering targeted messaging directly to customers in the market. Optimize your process for revenue, customer satisfaction, and employee retention with APC best-in-class process consulting. 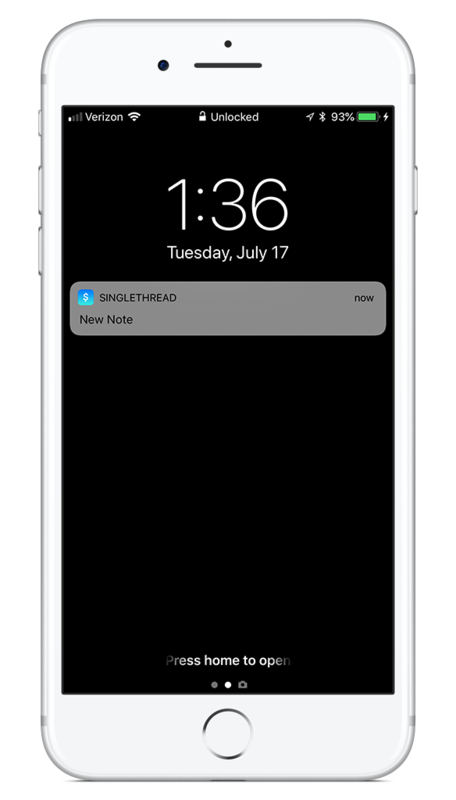 You're always seconds away from completing your next task in Singlethread. Text, Inspections, Mobile Pay, Chat, Customer Feedback - all within a click. See how with a Live Demo. See how Singlethread can help you gain control of your service department. 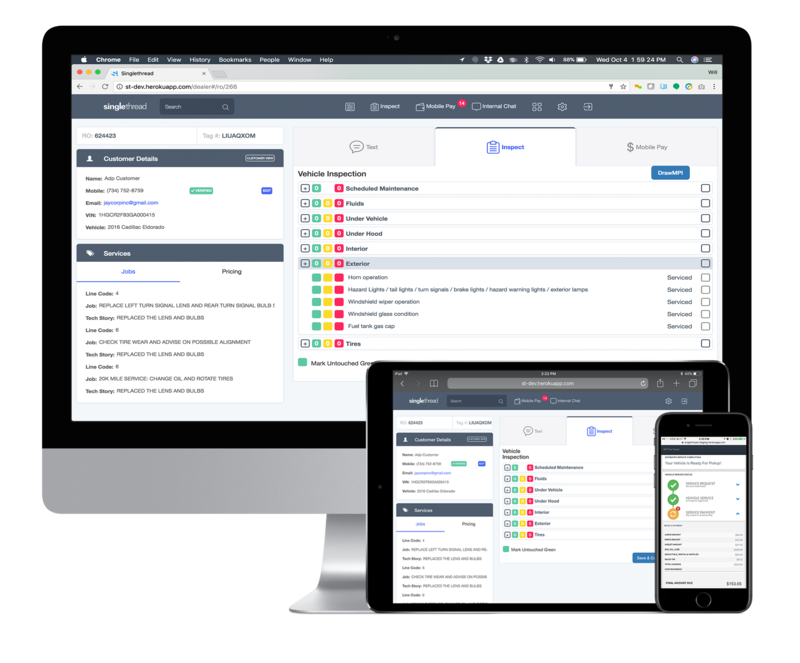 Singlethread is a leading provider of web-based tools that help automotive service departments improve communication, sell more, and succeed in a rapidly-changing, mobile-first world.